Melissa grew up in Montgomery County, Pennsylvania with her parents and two older brothers. She married in November 2012 and now lives in Hatfield with her new husband and cat, Nadia. Living close to family and friends is worth the long ride to Seven Gen every day! Melissa graduated with a bachelor’s degree in elementary and special education, from Bloomsburg University. She graduated with her Master in Special Education and Assistive Technology degree from West Chester University, in December 2013. Prior to coming to Seven Gen, she worked various long-term substitute positions for Norristown and Pottsgrove School Districts. Each of those positions was a great special education skill builder. Melissa also worked multiple summers of Extended School Year, where she worked with students with severe disabilities. She joined our staff as a Learning Support teacher in the year after opening and is now heading up a classroom of her own. Melissa’s favorite pastime is spending time with her husband, family and friends. She also loves to bake new recipes (and oldies but goodies), read, go shopping and watch movies. If the weather is right, she loves to travel, swim and go fishing. Contact Melissa at melissa.peck@sevengen.org. I have always believed that you learn something new every day, and that is how it has been working at Seven Generations. I love walking in the door every day to work with such an experienced and friendly staff, as well as a caring student population. Each day bring new surprises, love, laughs and memories. I can’t wait to see what I will learn tomorrow! Diana knew from a young age that she wanted to be a teacher and work with children. Growing up in New Jersey, she chose a local school well known for its robust education program. 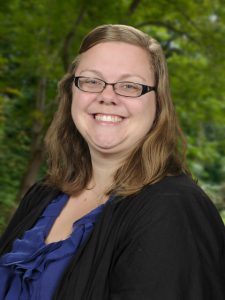 She graduated from Montclair State University in 2005, with dual certifications in early childhood education and elementary education. Shortly after college graduation, Diana and her husband, Alex, started a family, and Diana grew increasingly interested in the childcare field. She worked as a daycare supervisor and director in New Jersey for four years before she, her husband and then young son relocated to Pennsylvania. Once in Pennsylvania, Diana worked for Community Services for Children for several years as a lead teacher in a Head Start classroom. She found working in a project-based hands-on learning environment extremely inspiring and close to what she knew as best practices in education. Shortly after, she discovered Seven Generations and enrolled her son for kindergarten. Diana knew that she wanted to re-enter the field of education with elementary age students, but returned to school to pursue her Master’s degree first. 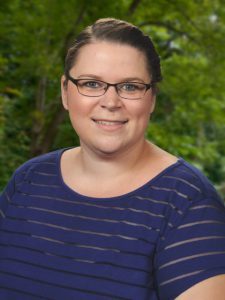 After obtaining a Master of Education degree and a Reading Specialist Certificate from Kutztown University and graduating in December of 2012, Diana became the third reading specialist at Seven Generations, in January 2013. She joined our fourth grade staff in the 2014-15 school year. Hoping to inspire young readers to genuinely enjoy reading and help it “click” for them, Diana truly feels she’s found her “home” and her passion teaching at Seven Gen. Contact Diana Reeves at diana.reeves@sevengen.org.